IDJ has sent this advert from 1957. 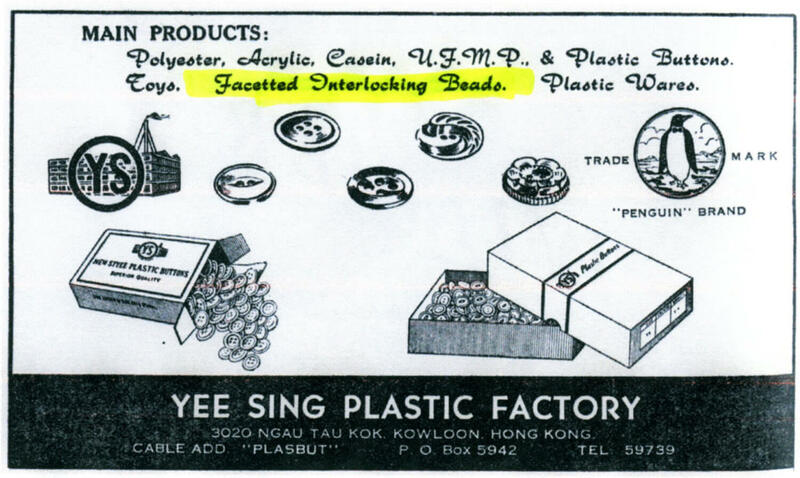 The company was elected to the HK General Chamber of Commerce in 1958. Casein is the main protein in milk especially in a coagulated form as in cheese. Seems an odd thing for a plastics factory to be involved in? Can someone explain?